Frankie Muse Freeman will receive an Honorary Doctor of Humane Letters degree from Southern Illinois University Edwardsville at its May 2017 commencement. The SIU Board of Trustees approved the presentation during its December 2016 meeting on the Carbondale campus. Freeman has spent her lengthy career advocating for civil rights issues that have had a lasting impact at the local, regional and national levels. In 2007, Freeman was inducted into the International Civil Rights Walk of Fame for her leadership role in the civil rights movement. In 2011, she received the National NAACP’s highest honor, the Spingarn Medal for outstanding achievement by an African American. Freeman’s many honors include induction into the National Bar Association’s Hall of Fame in 1990, induction into the Civil Rights Hall of Fame and recipient of a St. Louis Walk of Fame star. Her numerous volunteer activities include trustee emeritus on the Howard University board of trustees, and past chairman of the board of directors for both the National Council on Aging, Inc., and the Urban League of Metropolitan St. Louis. She has served on various boards including the Metropolitan Zoological Park and Museum District, and the St. Louis Center of International Relations. 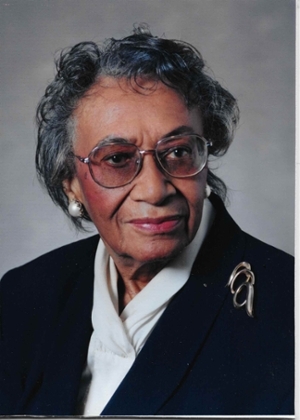 Freeman served as national president of Delta Sigma Theta Sorority, Inc., a public service sorority from 1967 until 1971. She is a member of the Executive Committee of the City of St. Louis NAACP and the trustee board of Washington Tabernacle Missionary Baptist Church. The St. Louis City NAACP has commissioned a statue of Frankie Muse Freeman that has been gifted to the City of St. Louis and is to be installed in Kiener Plaza, close to the Gateway Arch. Her Memoir, A Song of Faith and Hope: The Life of Frankie Muse Freeman, was published in 2003.